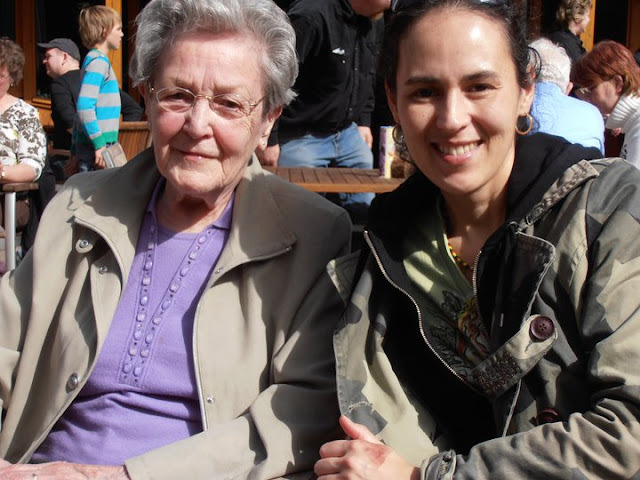 This is me and my lovely Grandmother(93 years old in this picture). She taught me how to crochet when I was about 8 years old. I learned the basics pretty fast and after that I tried to copy her doilies. In my teenage years I didn't crochet, I had other things to do. Later when my first daughter was born, I picked it up again and crocheted all kind of creations like hats, little cardigans, poncho's, mittens and bags. I bought every book or magazine about crochet I could find and taught myself more difficult techniques. I spend hours figuring out how to join granny squares in a nice way. Oh how I would have loved You Tube or Pinterest in those days! At some point I thought it would be nice to show the world my creations to inspire people. So I started a blog with free patterns and step by step tutorials. It got picked up pretty fast and soon I had quite some followers around the world. Nowadays I am surrounded by yarn all day and no day will pass without crocheting. Made by Atty. Simple theme. Powered by Blogger.